The smell of the log fire is the first of your rewards having reached this out-of-the-way boozer located at least a mile's walk from the nearest tube. But that's not all: wooden rooms upstairs, a rich (possibly apocryphal) history, and plenty of beers (a rotating selection of cask and tap), make for a very cosy boozer. It is popular, so get in early if you want a seat within sight of the crackling logs. A stashed-away pub with character by the barrel-load: an ornate glass back-bar, dark wood panels and pew-style seats contribute to a look which has barely changed since the 19th century. An added quirk is the chalked-up weather forecast on a blackboard, perhaps to help customers decide whether to leave the pub or not; we'd say it's probably best to assume it's cold and wet and stay put by the fire. It’s a Fuller's pub, which gives you an idea of the beer list, and if you get hungry some half-decent pies are on hand. This diminutive drinking hole has masses of character and is exactly the kind of place you nip into 'just for one', only to find yourself so ensconced in its warmth (of welcome and temperature) that before you know it, it's closing time. Wood panelling, wide selection of beers and a bloody good jukebox... why are you still reading this? Recline with a mug of porter in this snuggly, wood-panelled hostelry, while putting your feet up in front of the roasting fire. The welcome here is warming in more ways than one; Heath dog-walkers and other Highgate locals give the bar a friendly atmosphere. 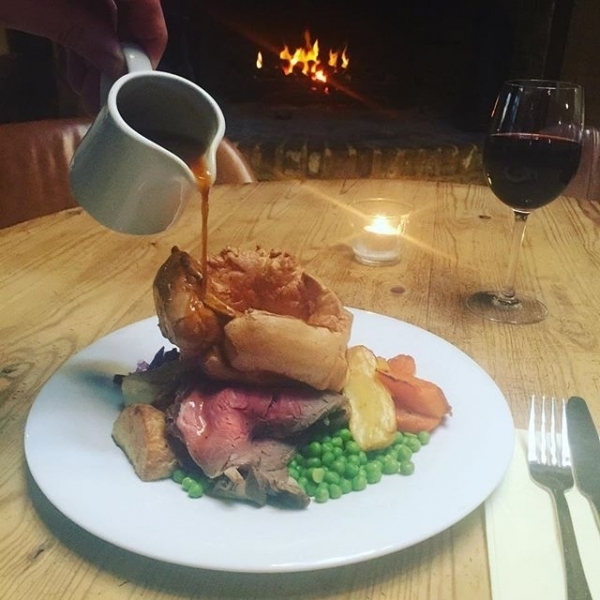 Traditional English fare – roasts and sticky puddings – will heat you up from the inside and set you up for the bracing walk home (or more sensibly, the nearby tube). This is where you'll find us when some quality pub time is in order. The Flask in Highgate (not to be confused with The Flask in nearby Hampstead) has many a tale to tell. 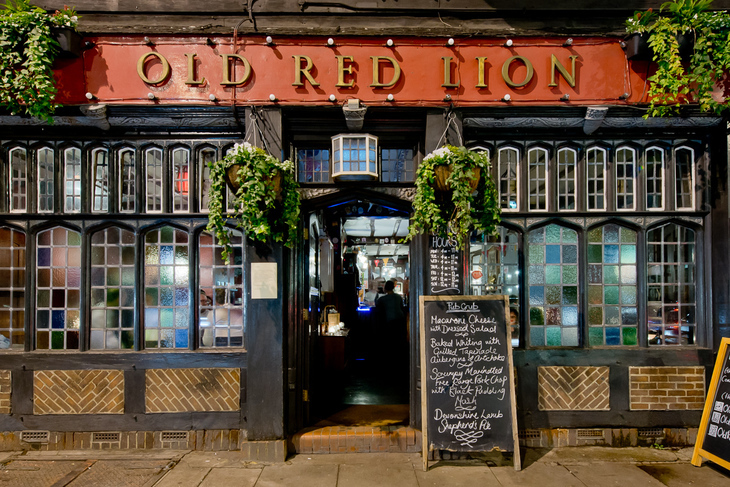 With famous ex-punters including Byron, Shelley and Keats, this place is steeped in history and familiar faces still visit. Kate Moss lives opposite, although you'll have a job spotting her thanks to the dark, candlelit atmosphere and endless private nooks and crannies. Food is good with a seasonally changing menu of English pub food. There are a few little fires to be had too, in colder months. 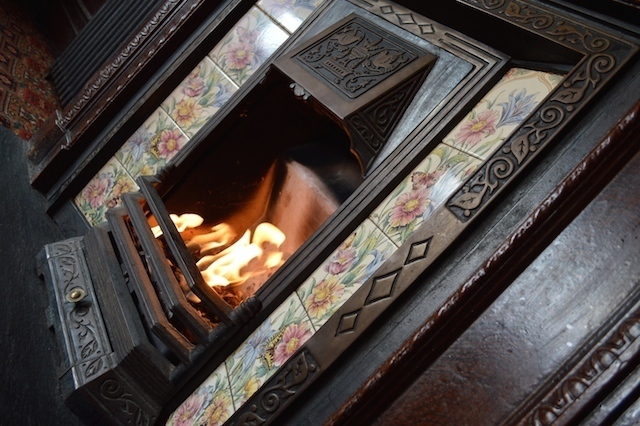 There's a Victorian tiled fireplace at this no-nonsense boozer with an excellent beer selection. 12 hand pumps dispense cask ales from independent brewers, a further six are dedicated to ciders, and the food selection is very meat-oriented. It's a popular spot, but always retains a relaxed vibe. Not as old as it may seem, this pub has occupied varying sites since the 14th century but the tavern we now know didn’t open until the 1990s. Still, the building housing it goes back to 1720 and it feels as historic as they come. Comfy chairs right by the fire and the entire (excellent) range of St. Peter’s beers make it a gem. A predictable inclusion, but a worthy one all the same. Dating back to the 16th century, it’s among London’s oldest. Rebuilt after the Great Fire of London, there’s a certain irony to the fact that its open fire is now one of its biggest draws. That, its cosy old-world charm, and the fact that it’s a budget-friendly Sam Smiths these days. 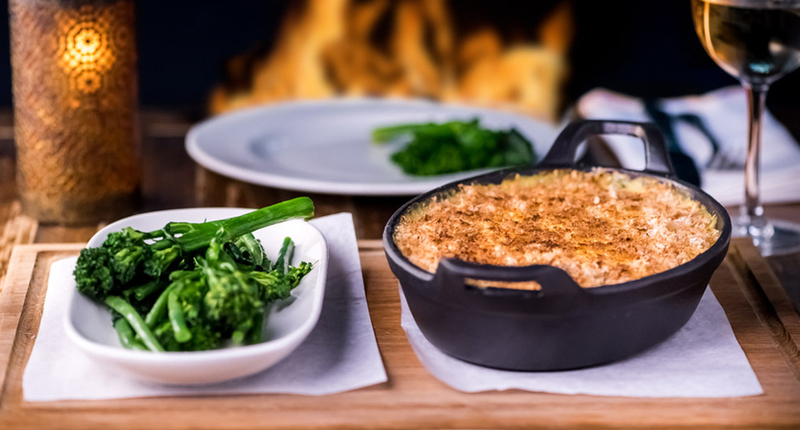 Get the best of a countryside village pub without leaving London at The Crooked Billet in Wimbledon. Two warming fires mean you don't have to be first through the door at the weekend to get a toasty hearthside spot. Drinks on offer are the usual fare for a Young's pub. Proximity to the Common means it's a very dog-friendly place, so you can take along your pooch for a post-walk pint. they even do homemade dog biccies. 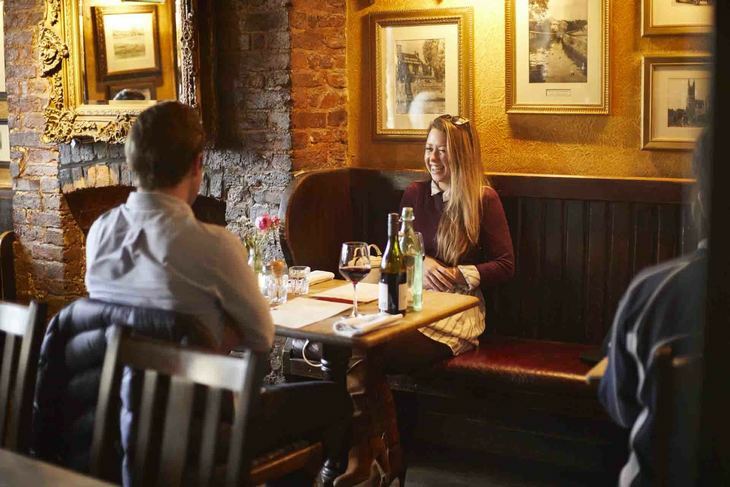 Feel smug as you bypass some of the more tourist-y places in Greenwich and slip into this proper locals' pub, where the welcome is as warm as the roaring fire. One of the oldest pubs in the area, there's decent-enough food and a fair selection of beers, but it's the cosiness you won't want to leave. Just one more? Oh go on then. 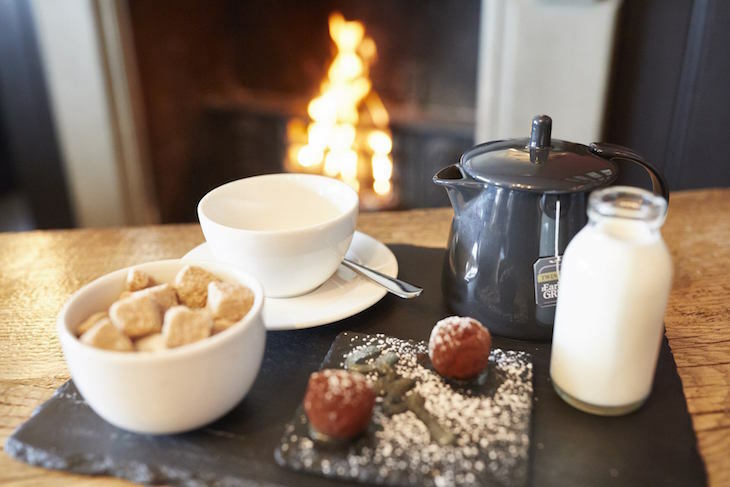 It’s not just the crackling fire or the whiff of mulled wine as you walk into this Antic-owned pub that makes it a perfect winter spot. It’s also the way they’ve converted old toilets to provide tight alcoves to cosy up in and make your own. Should you need to venture out into the garden for a cigarette (or the pub’s packed) blankets are provided to keep you snug. Enjoy well-above-average pub food, a regularly changing ale selection and a friendly welcome to boot. You can get a very good pint of Brodie's here for a very decent price. 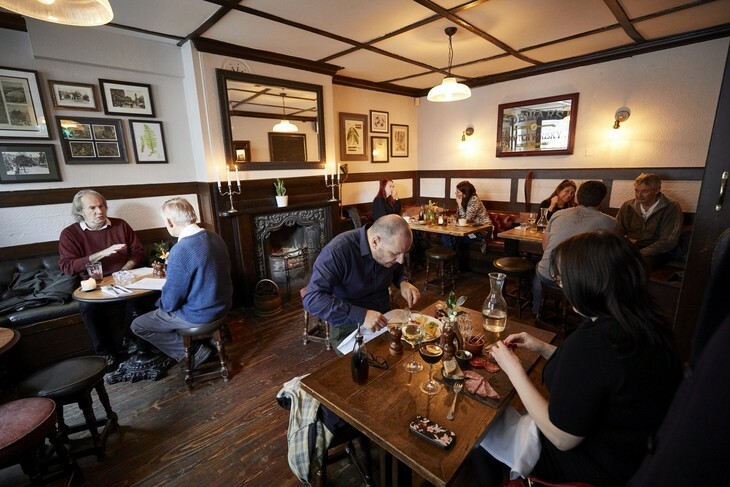 The pub itself is a real charmer — decidedly old-school with a carpet, bar billiards, hanging baskets and effortlessly welcoming to one and all. The fire is the piece de resistance. This Isle of Dogs institution melds gastropub with traditional boozer, as if it that were the easiest thing in the world. Nautical paraphernalia and deep leather armchairs provide traditional touches, while a stonking view of The O2 lends The Gun wow factor. Those armchairs we mentioned also happen to flank a rather wonderful fireplace. Sink into your seat, sink a real ale or two, and watch the boats (hopefully not sink) on the Thames outside. Aged beams and cosy corners combine with a delightful view of the Thames to make this one of those pubs so lovely it's worth travelling across town for. Hunker down by the open fire in a proper pub chair with a pint of one of the nearby Fuller's brewery beers and you'll soon forget it's raining again. If in your mind's eye you think a fireplace isn't complete without a dog warming itself nearby, this is your kind of pub. That, plus a bar stocked with more ales than you can count make this an excellent stop-off if you're visiting the fascinating area of Hanwell. The so-called Sloaney Pony is a pub which many a Londoner holds close to their hearts, and for good reason. With at least eight beers on tap and over 80 interesting options by the bottle, it's at the top of its game for ale, and unlike many a beer destination it has genuinely great food, too. Throw in a roaring fire flanked by comfy Chesterfields and you have quite a winter hide-out. Words by James Drury, Joanne Gould and Ben Norum. 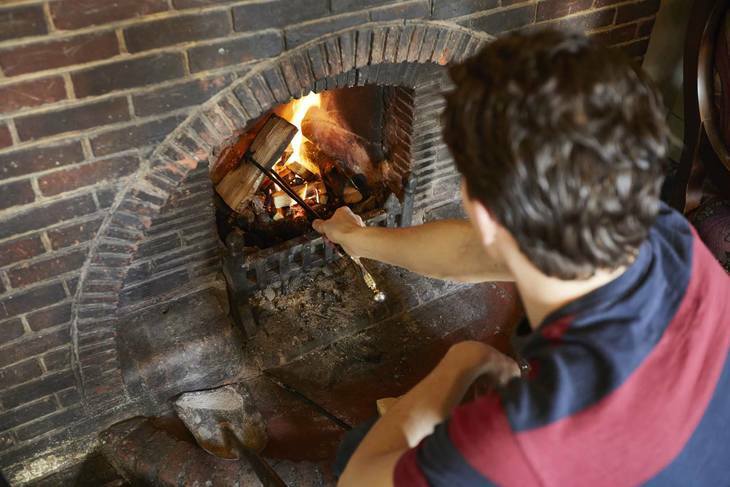 To find more cosy pubs with fires near you, search our database of the best pubs in London.